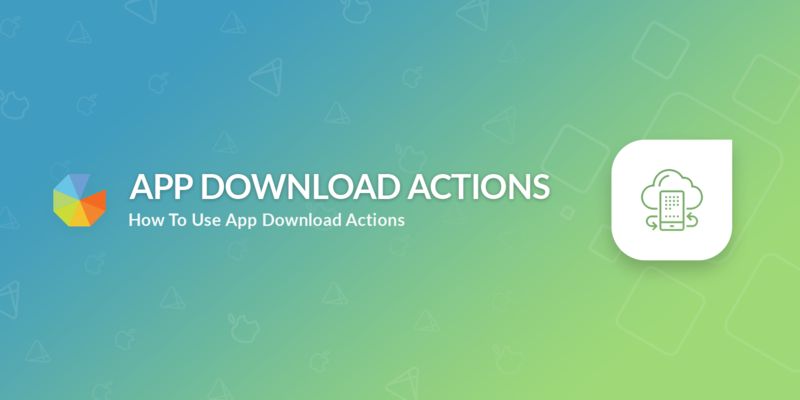 This documentation covers how App Download Actions work. The App Download action allows you to redirect users to your App download page on the iTunes or Google Play stores. This action is triggered OnClick which means that we do not validate if the user installs the app or not. If you use a 3rd party app tracking provider you are welcome to use their deep links inside this action instead of the direct app store links. How Can I Track App Installs? Tracking App installs is a complex problem that we don't currently tackle. 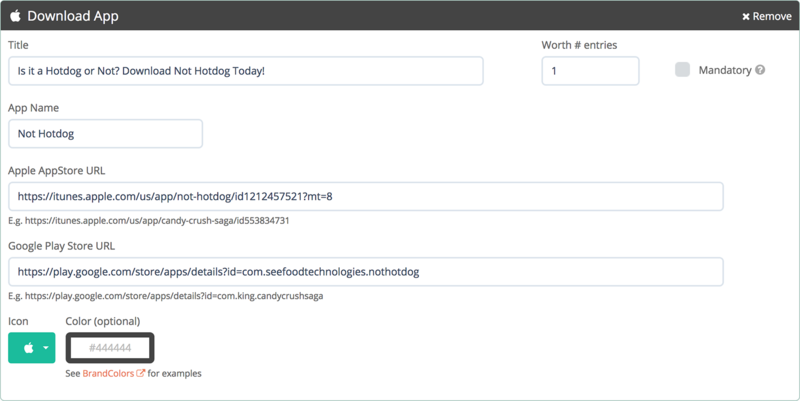 Ideally you should use your own App install tracking provider to create a deep link that you can use for your Gleam campaign. You will then be able to attribute how many installs came directly from Gleam.